Airbus Defence and Space has received a firm order for an Airbus A330 MRTT Multi Role Tanker Transport from Europe’s organisation for the management of cooperative armament programmes – OCCAR – on behalf of NATO Support & Procurement Agency (NSPA). The order follows the announcement on 14 February of Belgium’s official accession to the European/NATO Multinational Multi-Role Tanker Transport Fleet (MMF) programme, which already consists of Netherlands, Luxembourg, Norway and Germany. An amendment to the original MMF contract adds the aircraft to the seven previously ordered for the MMF programme. The contract also includes three additional options to enable other nations to join the programme and provides for two years of initial support. 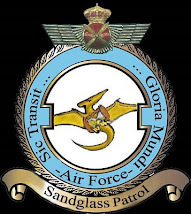 The programme is funded by the five nations who will have the exclusive right to operate these NATO–owned aircraft in a pooling arrangement. The aircraft will be configured for in-flight refuelling, the transport of passengers and cargo, and medical evacuation flights. 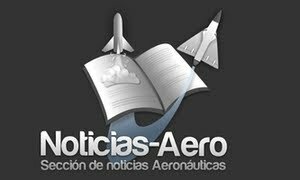 Airbus Defence and Space will deliver the eight aircraft from its tanker conversion line at Getafe near Madrid between 2020 and 2024. The most extensive wing laminar flow demonstrator programme ever undertaken for commercial aviation. Improving aviation’s ecological footprint, with a 50% reduction of wing friction and up to five percent lower CO2 emissions. At a ceremony in Washington DC, Airbus’ BLADE demonstrator programme received the prestigious 2018 Aviation Week Laureates Award for Commercial, Technology. The panel of judges recognised the team for bringing to fruition the most extensive wing laminar flow demonstrator programme ever undertaken for commercial aviation. The BLADE project – which stands for “Breakthrough Laminar Aircraft Demonstrator in Europe” – is part of the EU-sponsored Clean Sky programme and is tasked with assessing the feasibility of introducing laminar flow wing technology on a large airliner. It aims to improve aviation’s ecological footprint, bringing with it a 50 percent reduction of wing friction and up to five percent lower CO2 emissions. 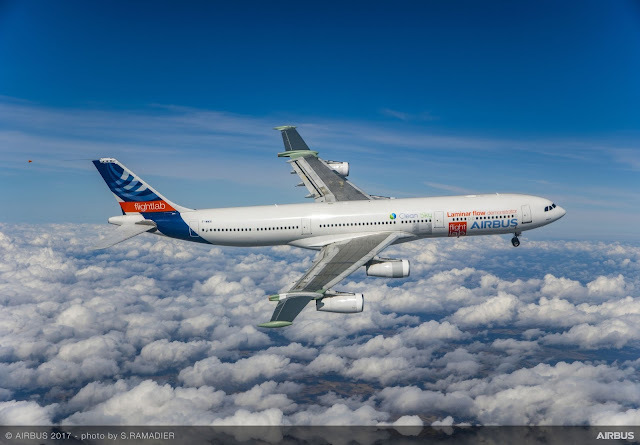 In September 2017 Airbus’ A340 laminar-flow “BLADE” test demonstrator aircraft (A340-300 MSN001) made its successful maiden flight and since then has been engaged in successful testing to explore the wing’s characteristics in flight. The aircraft, dubbed ‘Flight Lab,' is the first test aircraft in the world to combine a transonic laminar wing profile with a true internal primary structure. On the outside, the aircraft is fitted with two representative transonic laminar outer-wings, while inside the cabin there is a highly complex specialist flight-test-instrumentation station. The extensive modifications to the A340-300 test-bed aircraft took place during the course of a 16-month working party in Tarbes, France, with the support of numerous industrial partners across Europe. In terms of the testing technology, notable ‘firsts’ included the use of infrared cameras to monitor the laminar flow transition points and the acoustic generator which measures the influence of acoustics on laminarity. Another first is the innovative reflectometry system which measures overall deformation in real-time during flight. To date, the Flight Lab has performed 66 flight hours. The initial two A330neo jetliners destined for an airline operator have rolled out of the paint shop bearing the red and green livery of TAP Air Portugal, which will become the launch operator of this new member in Airbus’ A330 family – the most popular widebody family ever. 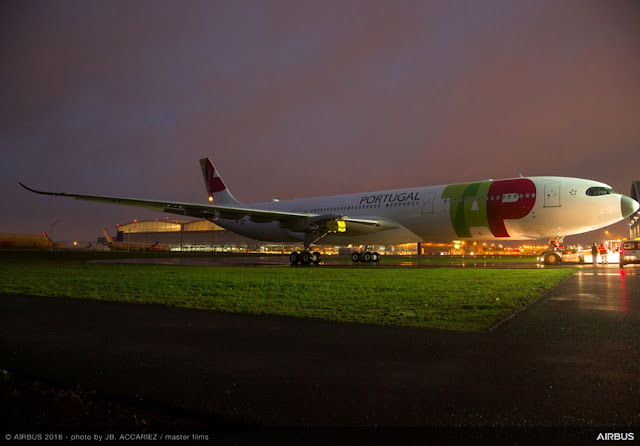 Both aircraft received the Portuguese airline’s branding at paint facilities in the Toulouse region of southern France – location of the A330 final assembly line and home to Airbus headquarters. These jetliners include the “A330neo / first to fly” wording on the fuselage, underscoring their upcoming role as the first to enter commercial airline service. When in operation, the aircraft will join TAP Air Portugal’s already large fleet of Airbus-built jetliners, composed of A330s, A340s and A320 Family versions. TAP Air Portugal has ordered 10 A330neo aircraft and will operate a similar number on lease. The A330neo brings together unbeatable economics and the proven values of Airbus’ popular A330 product line. Equipped with extended-span wings incorporating upturned Sharklets wingtips, it is powered by new Rolls-Royce Trent 7000 engines. Airlines will benefit from the 25 percent less fuel burn per seat compared to previous-generation competitors, along with reduced maintenance costs and the A330’s market-leading 99.5 percent operational reliability. TAP Air Portugal’s A330neo jetliners will incorporate the new Airspace by Airbus cabin concept – a consumer-centric interior based on four values: comfort, ambience, service and design. Airspace features include overhead bins with an updated design that improves carry-on stowage capacity by approximately 66 percent; illumination using light-emitting diode (LED) technology offering up to 16.7 million possible colour variations and lighting scenarios to reflect an airline’s branding; along with upgrades to such cabin items as magazine racks, ventilation grilles and window bezels. Senior management representatives of Airbus (stock exchange symbol: AIR) will meet with the European Works Council on 7 March 2018 to explain previously announced rate reductions on the A380 and A400M programmes and to discuss associated implications for the workforce. Airbus has a policy of first addressing workforce issues with its social partners before any public disclosure. The company will continue to abide by this policy. Airbus deeply regrets that the process on the current subject matter has been disturbed by leaks to the media, which resulted in excessive reporting about alleged job cuts in its four home countries. Airbus is committed to managing any social implications in a responsible manner and has demonstrated its ability to find the best possible solutions for its workforce on various occasions in the past. Only after its initial meeting with the European Works Council on 7 March 2018, Airbus will provide further details on the company’s plans and considerations. BRISBANE, Mar. 1, 2018— Australia will be home to Boeing’s [NYSE: BA] largest autonomous systems development program outside of the United States following a new partnership agreement with the Queensland Government. Over the next three years, the rapid innovation program will see Boeing develop next-generation autonomous systems capability in Australia to increase the independent operation of air and sea vehicles. Chris Raymond, Boeing vice president and general manager, Autonomous Systems, said the Queensland program formed part of Boeing’s global growth strategy to accelerate game-changing autonomous technology for commercial and defence systems. “As autonomy becomes increasingly common, Boeing will continue to pioneer autonomous technologies from seabed to space – setting a new standard for safe, successful missions that amplify human capabilities,” said Raymond. Queensland Premier Annastacia Palaszczuk said the investment would contribute to Queensland’s long-term economic growth, global commercial opportunities and local job creation. “There could be no more fitting way to celebrate the 20th anniversary of Boeing’s partnership with Queensland than today’s announcement,” the premier said. “The 131 jobs that will come with this autonomous vehicles program will grow Boeing’s Queensland workforce – and these are truly jobs of the future. “Boeing has a proven track record of working with innovative Queensland businesses, a relationship that supports the growth of highly skilled jobs under this new program. Boeing’s first Advance Queensland partnership with the Queensland Government has proven to be a winning formula. The broad area UAS situational awareness system developed by Boeing in partnership with Queensland businesses was exported to the United States in late 2017 and successfully completed its first flight test in Mississippi on January 2018. For 100 years, Boeing has led manned and unmanned technology innovation and integration from sea to air to space. Visit www.boeing.com for more information. No matter how carefully curated and choreographed, more often than not, there is a system glitch or malfunction that sours the desired outcome for all. On 20 February, Airbus delivered its first A350-1000 to Qatar Airways in Toulouse, France. Nearly 100 international journalists were on hand for the celebratory gala, attended by retiring Airbus CEO Fabrice Brégier on his last official day of work for the company. The 3D printing drone flying around the company's booth at TCT Asia is showcasing its potential applications in the construction industry, with the free-flying design meaning that the size and shape of printed structures are not restricted by the dimensions of a static 3D printer's enclosure. Printed examples on display look similar to the kind of layer-by-layer 3D-printed builds in Dubai and Spain.